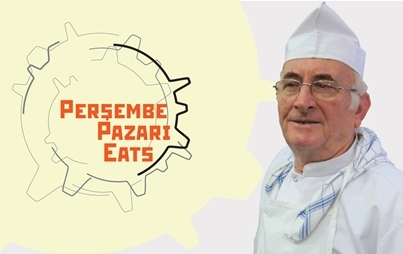 Istanbul Eats, together with Caravansarai Art Space, is hosting a monthlong celebration of Perşembe Pazarı’s esnaf lokantaları (tradesmen’s restaurants) by launching a competition. And you are invited! The month of June is dedicated to revealing and enjoying the hidden (or sometimes very visible) treasures of Perşembe Pazarı, a hardware-selling neighborhood in the middle of Karaköy. 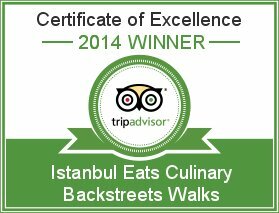 Sure, you may have eaten in the area’s guidebook-recommended standards (also well worth the visit), but until you have found yourself seated on a streetside stool, scarfing down pide while surrounded by tubes, chains, buoys and metal sheeting, you have not really “experienced” Karaköy! 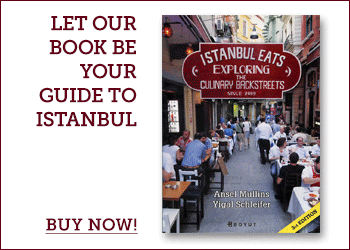 Come join us in an homage to the lunchtime eateries that keep Beyoğlu’s lively hardware-trading neighborhood fueled and working. » You must stop by Caravansarai Art Space in Perşembe Pazarı to pick up (and drop off) the “Evidence Bags” that you will need to document your visits to the neighboring food establishments. » Pick-up and drop-off hours are Monday – Saturday, 11am-2:30pm from June 1-22. » The “Evidence Bags” must contain a souvenir or some physical proof you have visited the restaurant. Photographs and napkins (unless artistically soiled) are not allowed. 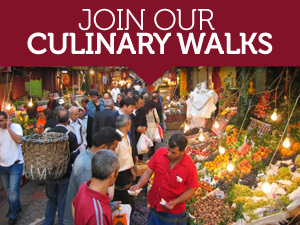 » Prizes of free meals will go to the winners with the Most Restaurants Visited, as well as for the Most Creative Souvenir. » A party for all participants will be held on June 22nd at Caravansarai, and will include an exhibition of the evidence and the awarding of prizes. Attendance at the party is by invitation only.